So, what’s the deal with wireless headphones? You’ve got your normal pair and they function well enough. You plug them in, pop them in your ears and off you go. So how can life be so greatly improved by cutting the cord, we hear you ask? Well, let us introduce you to the world of hands-free living. 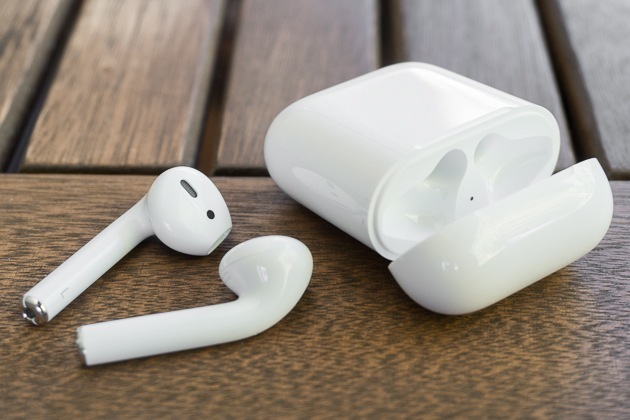 Here are 5 reasons why wireless or Bluetooth headphones are for more than just phone operators, and why you need to get some in your life ASAP. One of the best things about owning wireless headphones is the freedom of losing the cord. You might not think it would make a difference, but once you try it, there’s no going back. Holding a phone in your hand or in your pocket every time you want to listen to audio is restricting; particularly if you’re on the move or trying to use both hands. With hands-free headphones, you’re free as a bird to get on with whatever you need to do without restrictions. With regular headphones, your phone needs to come everywhere with you to allow you to connect. But with a wireless set, you can set your phone in one room and continue rocking out to music all over your home. Whether you’re doing the housework, cheffing up a masterpiece or just running after the kids, the last thing you want is to have to worry about cables. What’s more, since you can answer calls with just the tap of a button, you don’t need to worry about running downstairs to answer a phone call, either. If you listen to music while you exercise, wireless headphones are your new best friend. There’s nothing worse than getting in the zone during a run or workout only to have your headphones ripped from your ear when you catch them on something. Cordless headphones allow you to hop, skip, jump (or lift weights) to your heart’s content without the danger of an unexpected interruption. Nowadays we’re all glued to our phones. Just look around on your next bus journey. While we all have good reasons to be scrolling/watching/reading, it’s a good idea to look up now and again. With wireless headphones you have less reason to keep looking down at your phone giving you more reason to enjoy what’s going on around you! Not convinced they’ll beat the quality of a traditional pair? These Sony extra bass wireless headphones offer exceptional value for money whilst outperforming many more expensive models. you can activate voice commands, meaning you don’t need to use your hands whatsoever. Try using voice commands to stop, play or pause your music, call someone or turn up the volume. Join the hands-free party and get your hands on some wireless headphones today! Harvey Norman offer a great variety of in-ear and over-ear wireless headphones. Click here to see the full range today.